Kelly Clarkson’s wedding video has hit the Internet, and it’s beautiful. 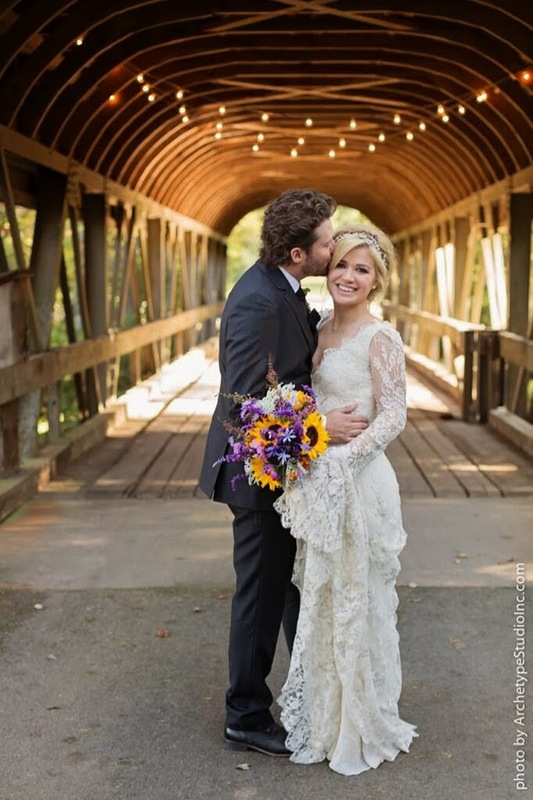 The 31-year-old singer and her husband Brandon Blackstock tied the knot on Sunday (Oct. 20) at Blackberry Farms in Walland, Tenn,. which is a 4,200-acre luxury hotel and resort situated in the Great Smoky Mountains. Clarkson shared photos from her wedding day on Monday, but was kind enough to give fans a better glimpse by posting a video on Tuesday. In the clip, Patty Griffin’s “Heavenly Day” plays while shots of the happy couple and the scenery at Blackberry Farm flash across the screen. From there, the camera pans to Clarkson and Blackstock exchanging vows on a bridge, with his kids, Savannah, 12, and Seth, 6, watching on as witnesses. Too sweet!